Don't let embarrassment over an Arizona drunk driving arrest affect your future. Speaking with an experienced Phoenix DUI lawyer could make all the difference in your case. Being pulled over for a DUI in Arizona is no laughing matter. In fact, the sta te of Arizona is known to have some of the toughest DUI laws in the nation—even for first-time drunk driving offenders. Despite the hefty penalties, many drivers are unsure of their rights and choose to passively accept any punishment the courts choose to dole out. As Phoenix DUI lawyers, we know how difficult it can be to seek help after a DUI arrest, but we also know that the penalties you will suffer are usually much worse—and could affect your life for years to come. The actions you take during your DUI stop and in the first hours after an arrest could have a big impact on your ability to avoid conviction. 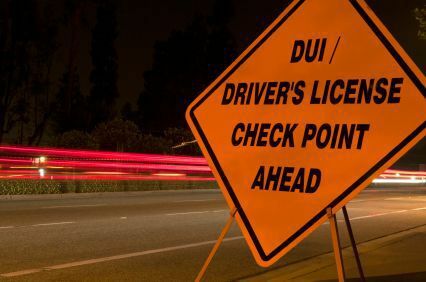 As Phoenix DUI lawyers, we want to offer crucial information about drunk driving charges to residents of Arizona, so we put together our must-read book DUIs in Arizona – What You Must Know. To receive your FREE copy or to speak with a skilled drunk driving attorney, give us a call anytime at 1-888-9AZLAWCOM (1-888-929-5292). Why Do I Need a Phoenix DUI Attorney after a Drunk Driving Arrest? Because Arizona has stiff mandatory sentencing in place for DUIs, it is unlikely that you would receive a harsher sentence when taking your case to trial. However, there is a good chance that you could see a reduction in the severity of charges or see your case dismissed. A criminal defense lawyer, who is highly familiar with Arizona drunk driving laws and the process of DUI sentencing, is better able to build a strong defense that is relevant to your location—and can keep you informed and let you know what to expect through each step of the process. Because Arizona's DUI laws have changed more than once in the last few years, it is important that you work with an expert criminal defense attorney who focuses on DUI cases. When you speak with one of our skilled drunk driving lawyers, you can rest assured that we know exactly what kind evidence is needed to build a strong case in your defense. You can trust us to defend your rights and aggressively pursue the best possible outcome for your specific situation. If you have previous convictions on your record, a DUI arrest can become complicated fast, and it may turn into a felony conviction. Because a felony conviction can seriously affect your future opportunities, it is in your best interest to do everything you can to reduce the charge or avoid conviction altogether. If there was an accident related to your Arizona drunk driving arrest, or if someone was hurt, you will need an expert in the field on your side to help you navigate the numerous potential complications and explain your options in language you can fully understand. What if I am a First-Time DUI Offender in Arizona? Even if you don’t have other complicating factors in your case, field sobriety tests and breathalyzers can be inaccurate or improperly administered. Police officers must rely on their senses to determine if you are under the influence, but many other conditions, such as diabetes or even being overweight, could cause you to fail these tests—regardless of the fact that you are completely sober. Even breathalyzer tests can be affected by seemingly minor issues, such as environmental fumes, your body temperature, what you ate, if you have vomited, and if you have taken cold or allergy medication, among other things. And, let's face it, police officers are human and mistakes are sometimes made by the arresting officer. Despite suffering penalties, such as jail time and license suspension, many first-time offenders are too embarrassed or overwhelmed to defend themselves. A Phoenix DUI lawyer with real experience both in and out of the courtroom knows exactly what to look for in your case and can explain precisely what needs to be done to protect your rights and fight conviction. What about Mandatory Sentencing for DUIs in Arizona? Our DUI laws have seen many changes in the last few years. In fact, as of January 1, 2012, judges now have more leeway to reduce mandatory sentences. Unfortunately, along with this, first-time DUI offenders in Arizona have lost their right to a jury trial. Your only option is now a “bench trial” before a judge. Classically, bench trials have resulted in stiffer sentences for DUI offenders, but a Phoenix DUI attorney, who knows the system and is up to date on the current law, can give you the best chance at a favorable outcome and a reduced sentence. Each Arizona drunk driving case is different, and it pays in the long run to consult with an experienced and knowledgeable drunk driving attorney for guidance on your rights and your options. Speak with us today at 1-888-9AZLAWCOM (1-888-929-5292) for a free, no-obligation legal consultation. For more information about your rights after a drunk driving arrest in Maricopa County, request your FREE copy of our important book DUIs in Arizona – What You Must Know.